Future First has developed a robust process for helping schools develop sustainable communities of alumni, parents and local community members engaging both the current school community and those who have lost touch – using a secure online platform to support that connection. The work of Future First is a collaboration between our expert team, school staff, students and pupils, employers and alumni. Future First has a team of dedicated Alumni Officers who work with primary schools, secondary schools and colleges to help them build and manage their community of supporters. Alumni Officers are experts in their field and offer practical guidance and advice for school staff. We take an enabling approach. We work with schools and colleges to embed alumni and supporter engagement across the fabric of the school and lives of the pupils and students so that each network is sustainable and accessible for generations to come. Our first step is to sign up all final year students so they can keep in touch from their last day. Future First provides a secure online platform that helps schools to collect student contact details, keep those contact details up to date, send out communications and search and filter through their alumni to find volunteers for specific needs. To try out the portal please contact info@futurefirst.org.uk and request our guest log in. We also help schools to reach out to former students who have lost touch using press, social media, employer and university partnerships, and our Back to School Week campaign to encourage alumni to sign up. Schools regularly contact former students with updates, newsletters and opportunities to get involved. An engaged network helps alumni feel part of the school community. We help track progression routes and destinations via our annual tracking survey and online platform. Schools can capture their former students' journeys by asking them to update their details every year. The next step is to invite alumni to support current students by bringing them back as inspiring speakers, or asking them to provide mentoring, work shadowing or ' a day in the life' video profiles. Once we have helped reach out to former students and build networks of supporters, schools and colleges can begin to use this community in a variety of ways to meet a variety of needs. Our goal is to help each school or college to deliver the most effective interventions to address the specific needs of their young people. Schools and colleges have a lasting pool of support available because as new students leave the school each year , they join the growing community of volunteers. Former students can play a key role in the delivery of the core curriculum. Returning to their old classrooms, alumni enrich the curriculum by co-delivering lessons related to their careers, helping build students’ understanding of the real world application of their learning and boosting their motivation. Alumni can support their old school or college by raising money or donating to specific causes. This could be books for the library, music equipment or to fund educational visits for current students. Young people deserve and benefit greatly from access to employers whilst they’re still at school. Research shows that young people who interact with employers during their time at school are far less likely to become NEET (not in education, employment or training). Our employer programme complements the core work we undertake to build and develop communities of former students. 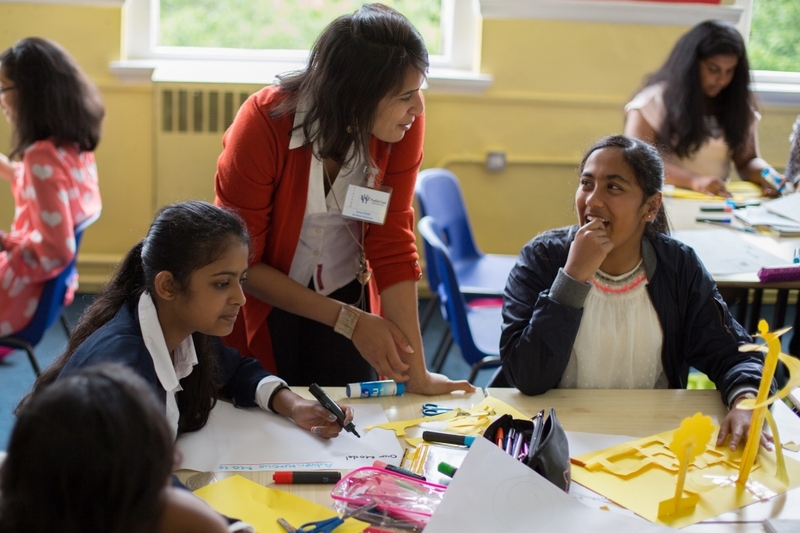 Alumni volunteers boost students’ confidence, motivation and knowledge of career pathways. We work with a range of employers, for partner staff to talk to young people, including in the workplace itself. This enables students to access the real experience, advice and motivation from a range of available jobs. We are very grateful for the support of our employer partners. If you are interested in becoming a partner or finding out more information please email info@futurefirst.org.uk.